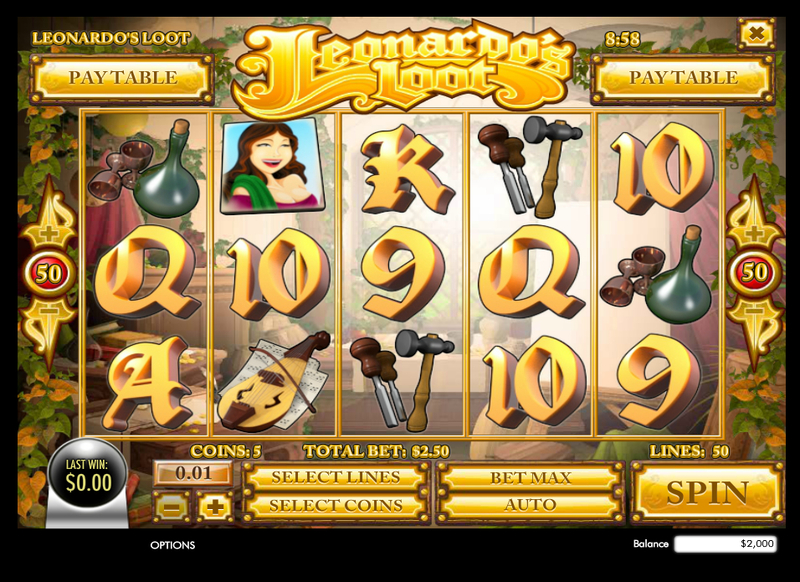 Leonardo’s Loot Slot is a journey back in history to the Renaissance, when a certain Mr Da Vinci was coming up with all sorts of inventions. This slot includes 5 reels, 3 rows and a total of 50 paylines with free spins feature to boot. 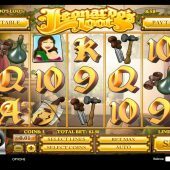 Available on desktop, mobile and tablet, this Rival Gaming slot is accessible wherever you access the online world. Look out for the Set of Cogs Scatter symbol as 3 or more of these will trigger the Renaissance Free spins bonus feature. You will be rewarded with 10, 15 or 30 free spins for 3, 4, or 5 scatters respectively. The good thing about this feature, is that it can be retriggered if 3 or more scatters appear. Leonardo will occasionally toss a coin to deliver extra bonus amounts during the spins, so look out for him. If you enjoy this type of theme then you should also check out Da Vinci Diamond Dual Play from IGT or Da Vinci's Treasure from Pragmatic Play, both of which are quite entertaining.